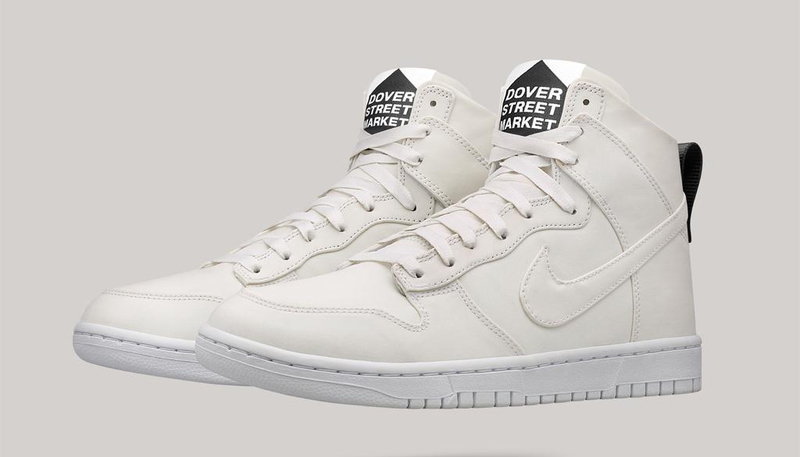 The Dover Street Market x Nike Dunk High Lux is the latest in a long line of Swoosh collabs coming from that department store. 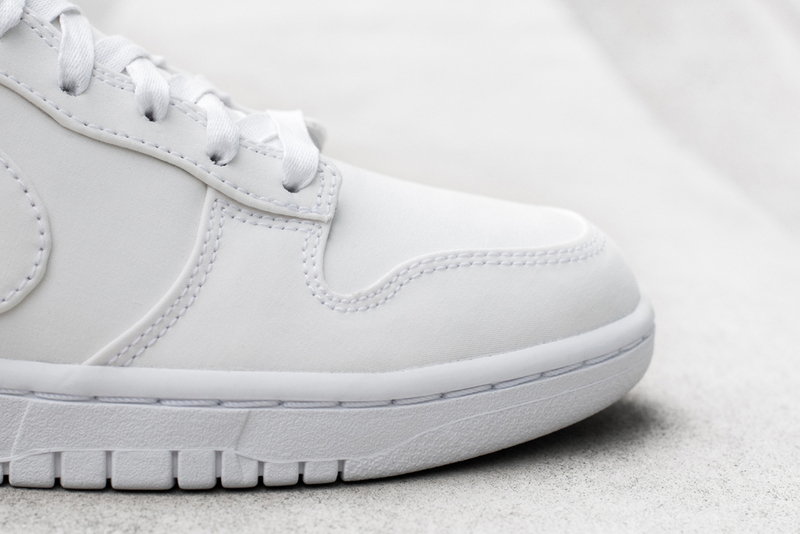 The shoe features a slightly rebuilt Dunk silhouette, which has a sharper shape to it and Lunarlon insoles. 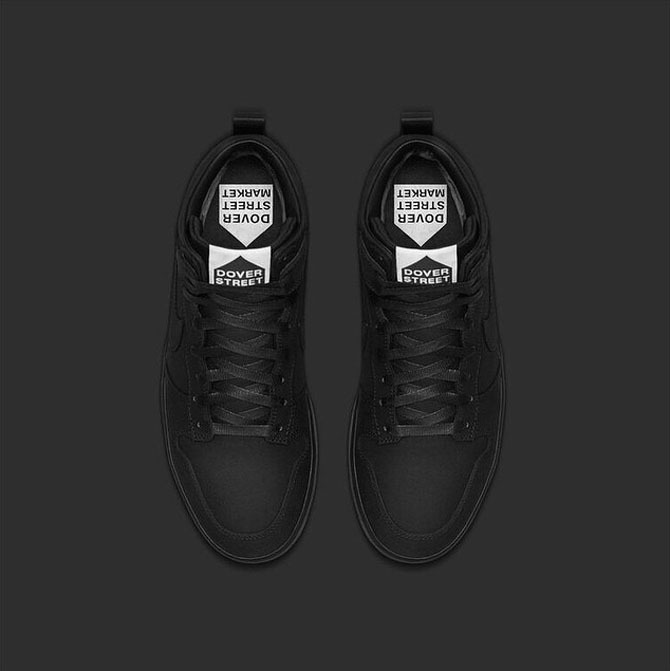 As is often the case with DSM creations, the model sticks to black and white for its colors. 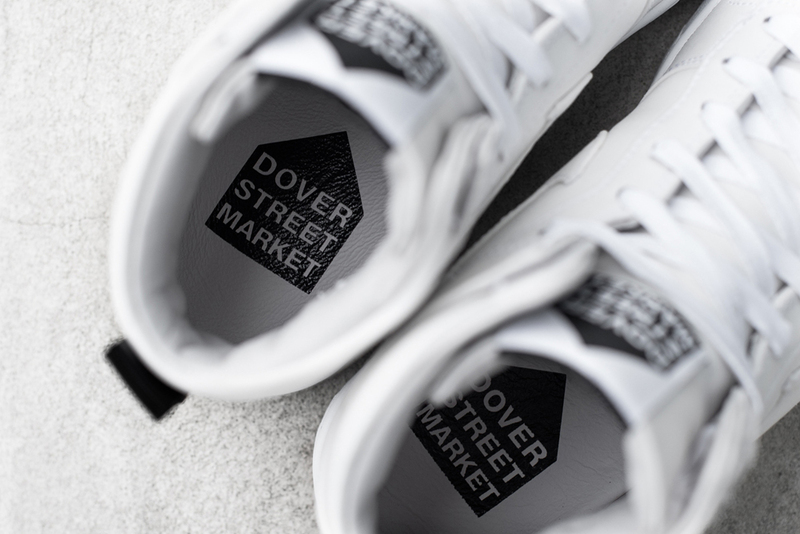 The tag isn't shy about its association and plants the store's logo there. 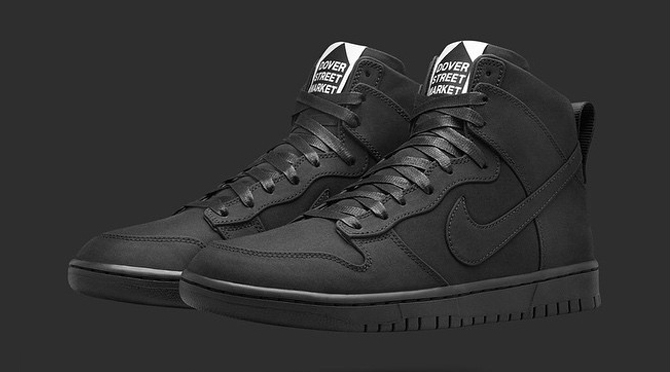 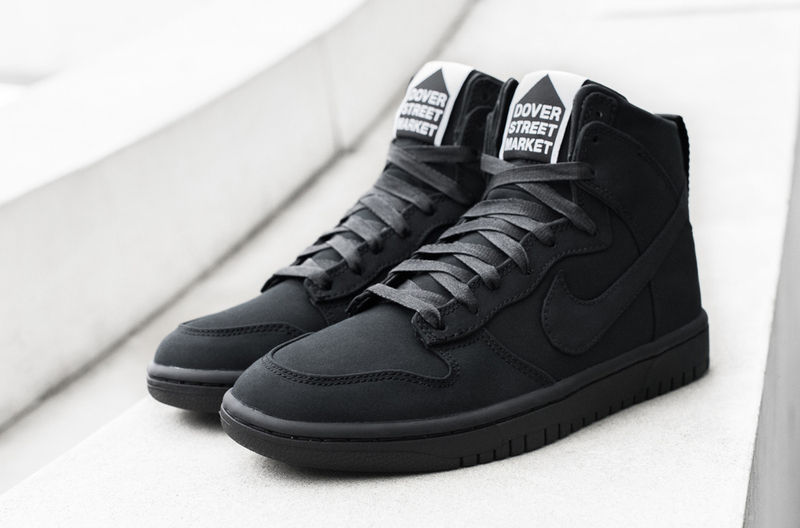 The Dover Street Market x Nike Dunk High Lux sneaker release date is May 7. 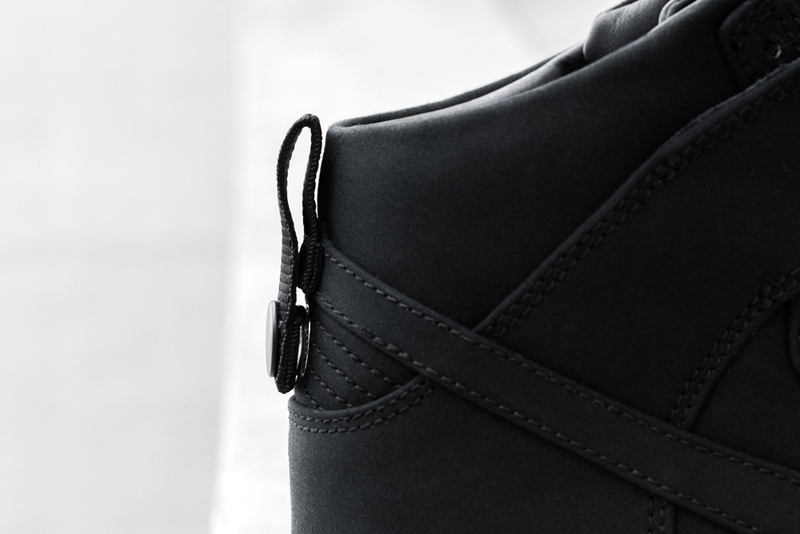 The shoe will be launching at NikeLab locations globally as well as online. 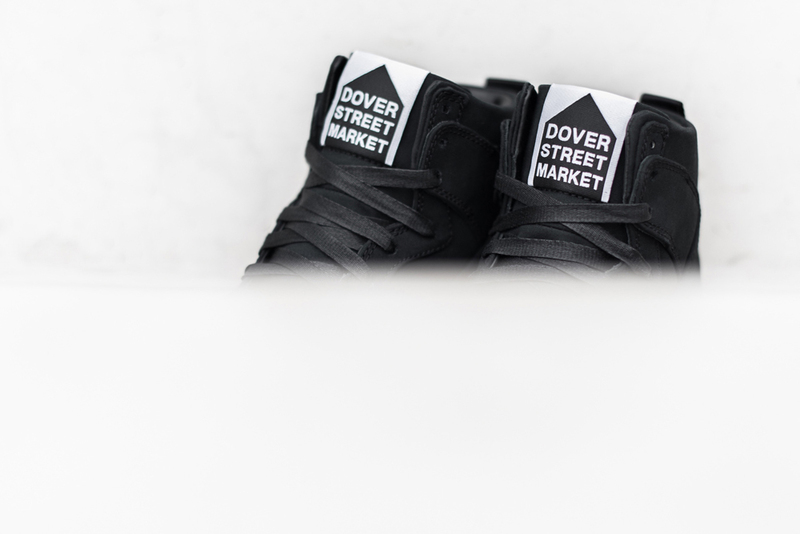 UPDATE 4/27: More images of the Dover Street Market x Nike Dunk project via High Snobiety. 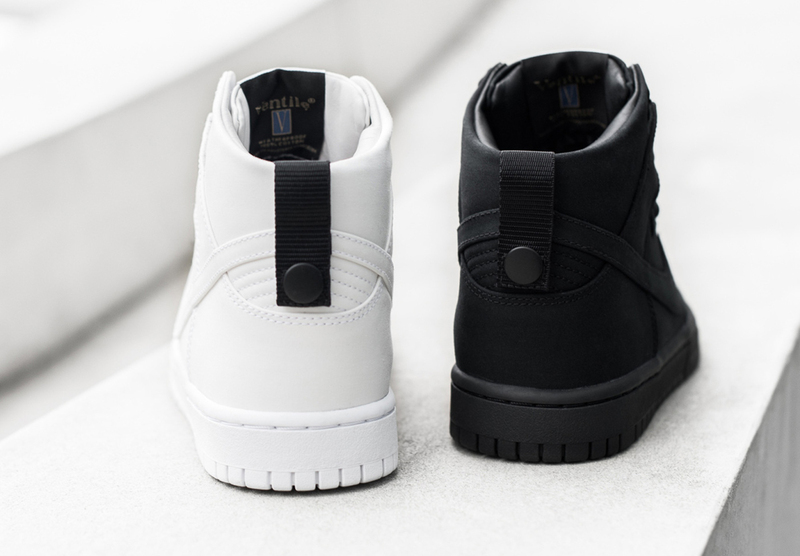 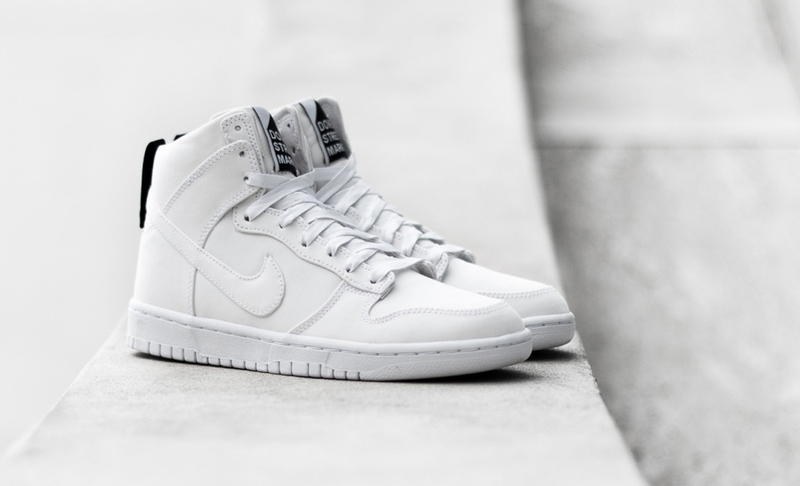 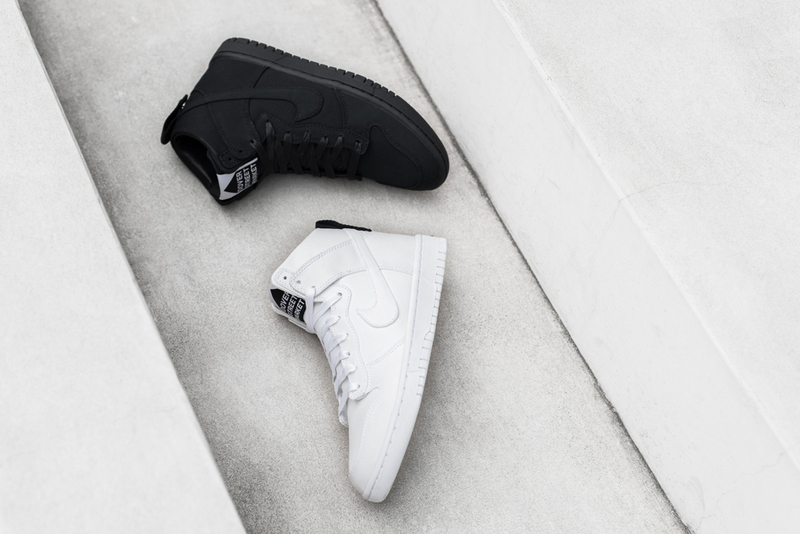 UPDATE: NikeLab has released an image of the white pair, releasing on the same day.